Two nerds talking about nerd things. 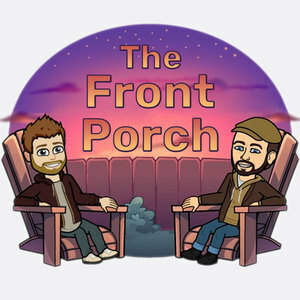 We found 5 episodes of The Front Porch with the tag “star trek discovery”. Our impressions of Black Panther, Kakegurui, and the finale of Star Trek Discovery. Weekly Challenge: "What Happened to Monday?" Updates on TV shows we like, and a little bit of video game chat. All Star Trek this week. We discuss most of the first half of Star Trek Discovery, and some of Dennis' experience with Star Trek roleplaying, and our plan to start a Star Trek Adventures campaign.